Now that the paperwork for the visa is complete and travel across the Atlantic accomplished, the task at hand focused on the registration for primary school and middle school. Although relatively less paperwork was involved, the challenge of completing these in French made the task more daunting. For primary school, the registration packet included emergency and health information to be filled out, persons responsible and their contact information, and supporting documentation such as birth certificate, medical transcription of vaccinations, passports, and visas, among others. For middle school, the same was required. An important hurdle, yet to be overcome, is the TB vaccination. The United States and the Netherlands are probably the only two countries that do not, anymore, require this for their population. So none of our US doctors have the vaccine. Their recommendation? 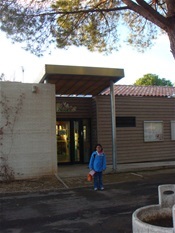 The International Travel Clinic or the doctors in France. We had no time to seek the International Travel Clinic, so we will have to find someone in France. I am humbled by this process as I clearly have forgotten the preparation, and the sometimes angst and sometimes excitement, taken to initiate children to the formal world of inquiry, research and problem solving. In my eagerness to introduce my children to a different place, culture and language, I had temporarily forgotten the relative nervousness and fear that can overwhelm a young child. First daughter panicked in the car and asked her father to turn around and back. Second daughter entered the classroom and tears started to flow. Yet both got through their first day intact. Relieved and satisfied; perhaps even pleased that their new world rolled out an affectionate welcome. First daughter’s arrival after school, via the school bus, was no less dramatic. Her narrative ranged from the free time one has to the range of subjects and schedule, and the fact that her classmates wore make up and had boyfriends. She sums her day saying, “Mom, there is so much more freedom here!” Clearly, the adventure has begun. France is awaiting your return, Betty! Such a wonderful experience for all! Truly a beautiful region filled with lovely people, excellent food, and soothing wine! Am looking forward to returning. What a joy for this to be shared. I am reading several times, soaking it in and making my own movie in my mind of this adventure. So excited for you three!